Visiting My Choices was a highlight from our trip. We took a short bus ride down the hill to the workshop. It is right in the middle of a historical site, the Golkonda Fort, which was built in 1671. After being asked to leave OM, Melanie was ready to leave India. She was exhausted and discouraged. But God told her to stay and in her staying He would bring her healing. In her obedience, God has brought blessing. He is using her life to leave behind a legacy in India. After a time, she met Elca Grobler, the founder of My Choices. 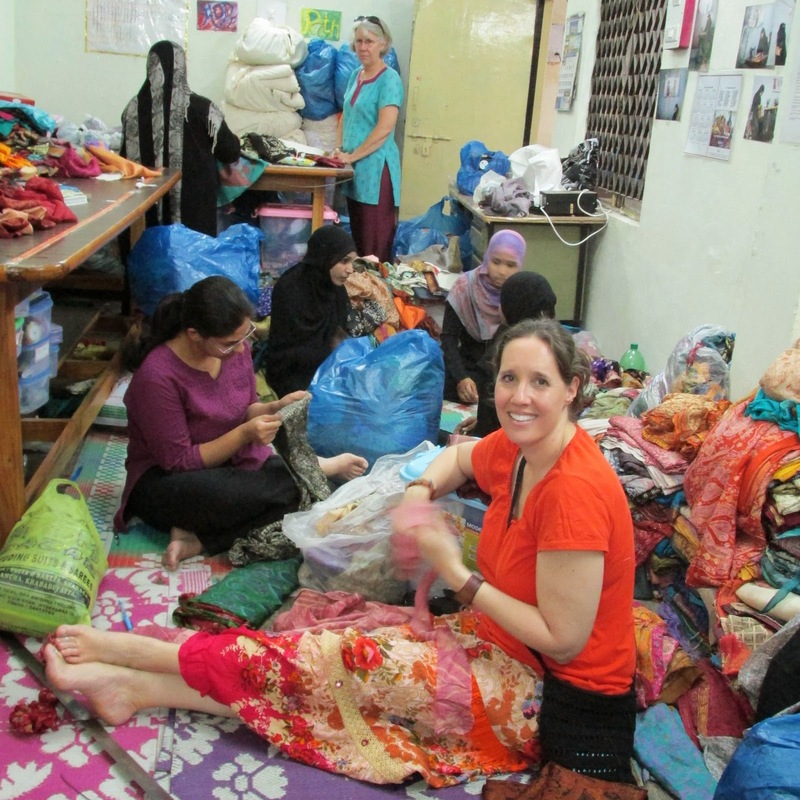 In 2011, Elca and her husband, with 3 young children, moved to India from Australia. 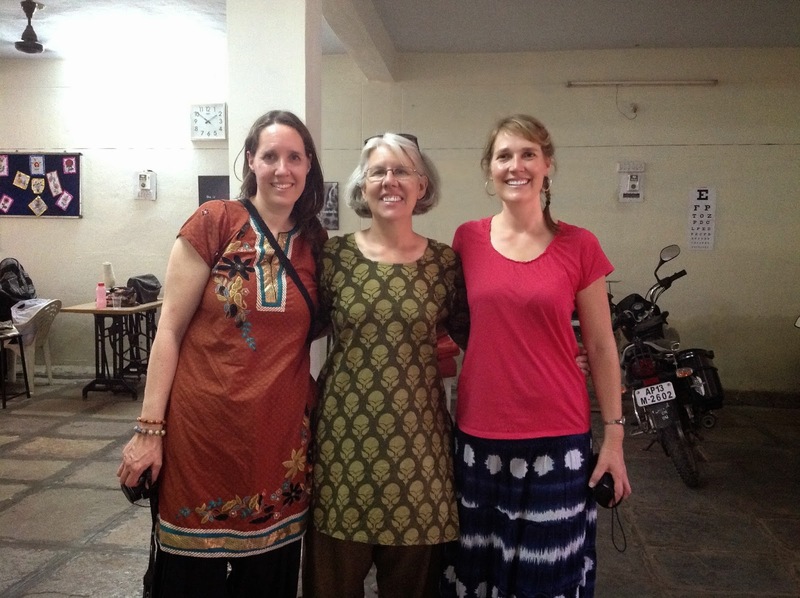 Elca spent over a year meeting with Indian women, asking them about their needs. After discovering that most struggle with domestic abuse, she set out to help women live a life free from abuse. She established PeaceMakers as a way to train women to counsel and reconcile families suffering from domestic violence. PeaceMakers assist women to access their rights and protections under the Domestic Violence Act. They also work in partnership with an organization called Breakthrough and their commercials "Ring the Bell" which show all over the country in Hindi. At the end of the commercial, My Choices has their contact info, hoping that women will reach out and ask for help. You can watch a 1 minute commercial here. In addition to the healing and reconciliation they strive to bring to families through their counseling program, they also offer women hope through job creation. That's where Melanie comes in. She is the head of product design and development. Her vision is to see women build self-sustaining businesses using local skills and materials. She has already trained 18 Muslim women at the center. They hope to add to this number as their scarves gain popularity in the global marketplace. Solomon helps significantly by finding places to buy used silk saris at a low price. Then, the saris are torn into long strips that are then hand crocheted in to beautiful scarves. Melanie has a keen eye and helps the ladies with color coordination. In a place like India, teaching women to put colors together that Westerners like is a bigger challenge than one might imagine! Shawnie and I spent a morning helping tear saris. It's far more difficult than I expected. The strips have to be measured, then torn just right so as not to fray. God brought them a huge buyer. A church in Michigan ordered 5,000 scarves for a conference in the fall! The ladies are working frantically to complete the order. I'm looking forward to having some scarves available through Mavuno Market this fall. we want to do what we can to help these ladies as they combat domestic violence. 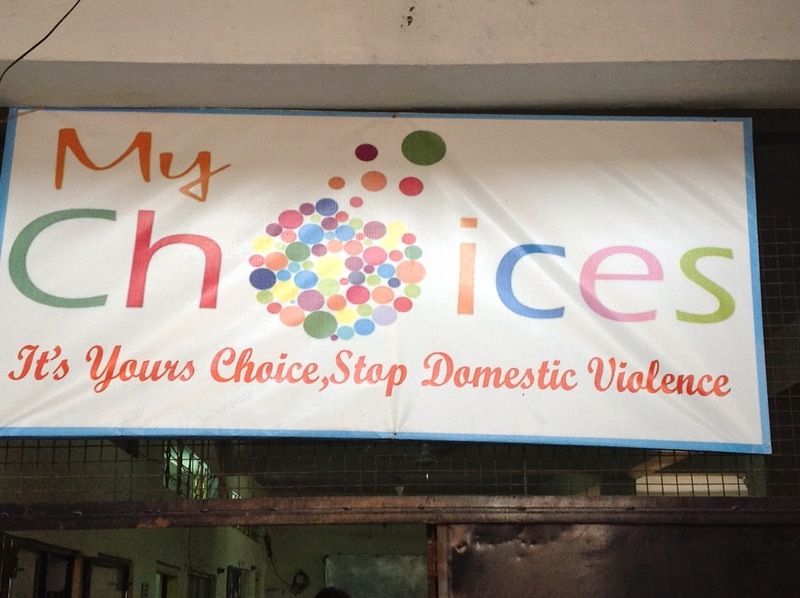 My Choices is a remarkable organization, one of which we are proud to partner.